Mica laminates in roll form provide superior heat, electrical and slip plane characteristics, making them ideally suited for use in furnaces. Induction furnaces come in different sizes and use various refractory materials in their processes. As a result, they will operate in different conditions to achieve the right temperature gradients for their specific purposes. To meet these diverse requirements, we have produced a range of mica roll laminates in several grades. These continuous rolls combine convenience and ease of use with durability and high performance. When used in induction furnaces, pure mica provides a protective layer to separate residual refractory material from the concrete wall of the furnace. Without this separating layer, the build-up of residual material can prove difficult to remove, making it costly to maintain the concrete thermal barrier of the furnace. Pure Mica has excellent slip plane properties, which means it protects the integrity of the coil grout, allowing the furnace lining to expand and contract without causing abrasive damage. This means the furnace will require far less patching, while pure mica’s high thermal conductivity speeds up productivity. Pure mica laminates are easy to transport and to store, and can be cut to fit when applying them. Talk to us about our mica roll laminates range, and we will help you select the right lining solution for your furnace. Glass fibre reinforcement provides additional mechanical strength to mica’s impressive slip plane and vapour barrier characteristics. Available in roll form, mica glass fibre laminates perform a key function in providing excellent lining support for furnaces. GM 40 SRP – these glass mica laminate rolls have single-sided glass fibre reinforcement, allowing for optimum slip plane performance and best handling in the field. MGM 40– pure mica’s unique characteristics with a scrim glass reinforcing layer to make it tear-proof and easy to install, even in larger furnaces. SMS 40 SRP – reinforced on both sides with glass fibre, this is a truly robust mica laminate material for extreme environments. Sinterfoil 40 – as a general relining material historically used for sintering where a former is removed. These double-sided glass fibre rolls use a special touch-friendly material that will not irritate the skin when handled. Glass mica rolls are available in 1.02m widths and in lengths of 25m as standard. This range of laminates combines either muscovite or phlogopite mica with bio-soluble ceramic or rockwool paper. Ideal for furnaces smelting iron or aluminium, these combi mica laminates have superb insulating qualities which reduce the amount of power consumption required for operating a furnace. As such, they provide a cost-effective lining solution for furnaces, while also providing a means of controlling the thermal gradient. This means the refractory will have a thermal consistency. Biosoluable insulation paper has a high compressibility, so when used in a mica combi laminate, it helps to absorb any thermal expansion in the refractory crucible. The Elmelec combi laminate mica roll range comes in six grades of thickness. For much larger furnaces, the CSML20SRP provides exceptional strength because it is reinforced with woven glass scrim cloth. 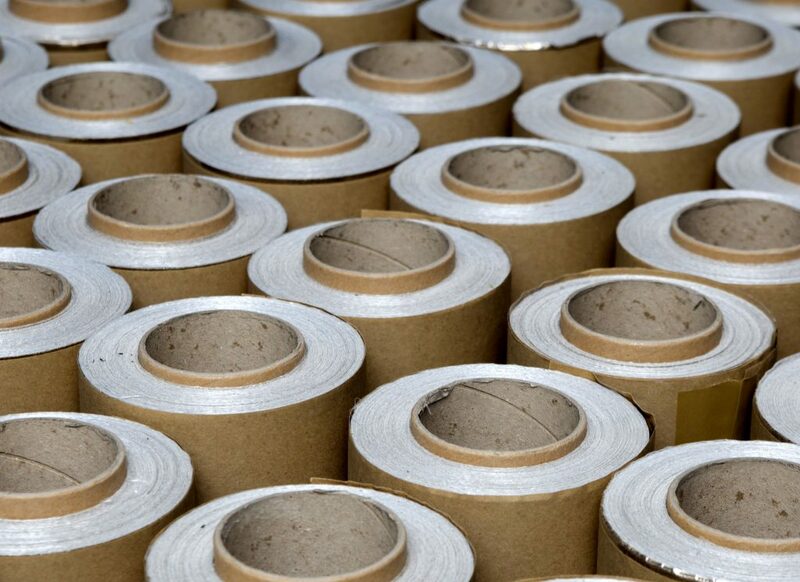 These mica rolls come in 1.02m width and 25m length as standard. For coreless induction furnaces, meeting the demands of production means ensuring thermal consistency while protecting the interface between the induction coil and the cast refractory crucible. Mica roll’s flexibility and strength make it the perfect product for ensuring optimum furnace performance. It has a potential capability of withstanding temperatures up to 1200°C and it has excellent electrical insulation qualities. It also acts as a vapour barrier against carbon gasses. Mica roll is versatile and easy to install. It optimises sintering conditions, maximising the lifespan of your lining, thereby reducing your downtime and maintenance costs.